Canton, China: Trained Bamboos in the Fati Gardens,” August 1, 1900, photographer unknown, via Library of Congress Prints and Photographs Division. 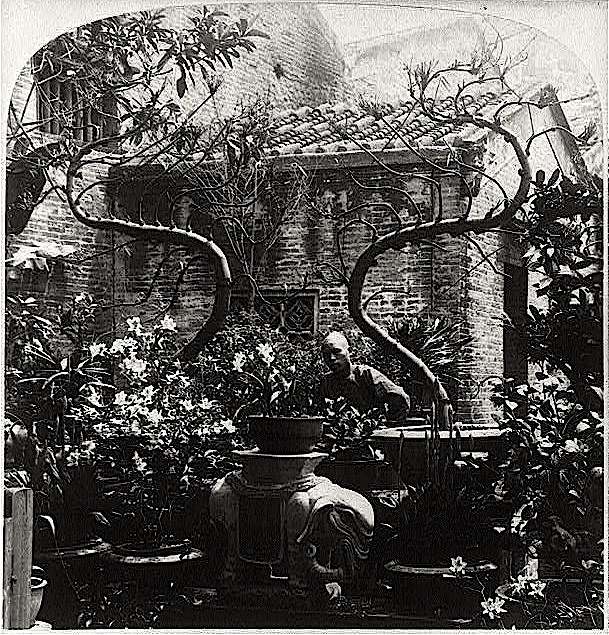 A note on the picture’s caption card says, “suburb of Canton, with noted flower gardens,” according to the Library’s online catalogue. 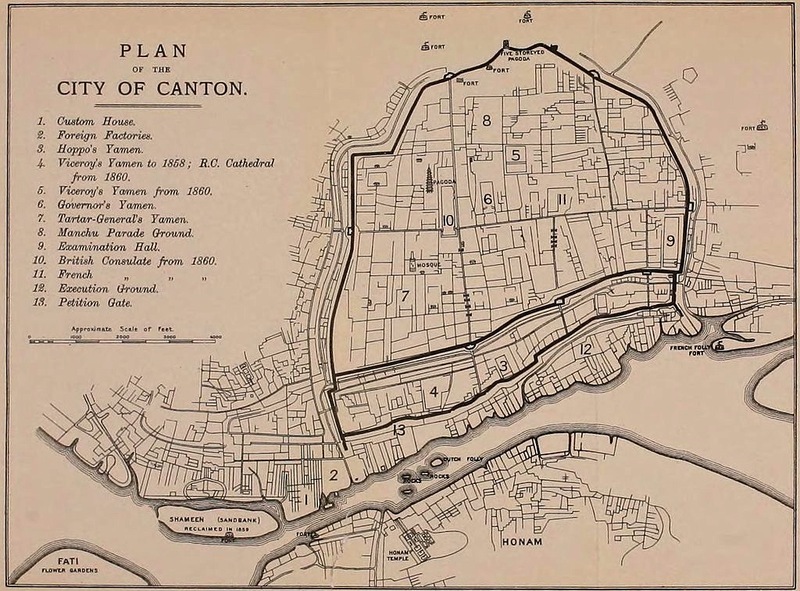 A 1910 map of Canton* indicates “Fati Flower Gardens” in the lower left corner, but I wasn’t able to find out anything about them. Canton is now known as Guangzhou. *By W. & A. K. Johnston Limited, via Wikipedia.